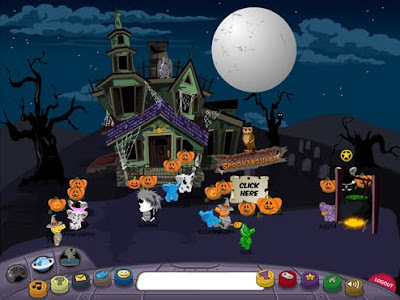 Club Penguin Cheats by Mimo777 Club Penguin Cheats by Mimo777: Tootsville Halloween Party Saturday! Win a FREE Laptop! Tootsville Halloween Party Saturday! Win a FREE Laptop! Get ready for Halloween on TOOTSVILLE! Saturday Tootsville is having it's big Halloween Tootacular and wow do they have some tricks and treats! 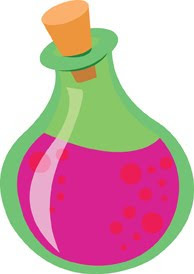 The way I hear it, Jack the Flaming Pumpkin is going to give out tons of prizes and the grand prize will be a LAPTOP COMPUTER! Go JACK! Go JACK! Go JACK! I did get a little hint that the big question will have something to do with one of the games in tootsville, thats all i know. So study up! ;-] If you think you know what game, let me know in a comment. THEY WOUNDN'T TELL ME! WHAAA! 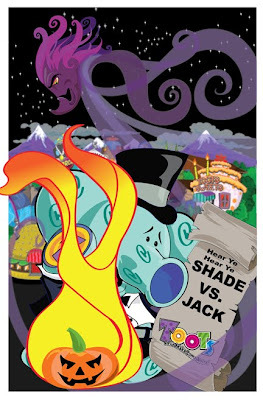 I found out that Jack has a new way to battle Shade. Shade is that nasty floating thing that has been stealing peanuts. My inside sources say that Saturday Shade and Jack will battle it out and if Jack wins everyone in Tootsville will get free peanuts, WOOT! I LOVE this Jack vs. Shade battle! Go jack! Go jack! So I will see you there! Register now! Awesome usernames still available! Exactly right! Tootsville is a little bit like club penguin. Just with elephants instead. Um well if you are talking about the so called "fight" with Shade and i think his name is jack well that hasn't been confirmed yet. your exactly right! just go to www.tootsville.com and it takes you to the website! Hey wassup mimo. Hows it goin? Here is a poll for anyone. What is your favorite color? There you go. Please answer with a comment. Kewl. I play tootsville too. 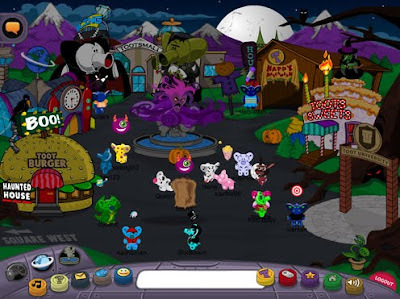 You know what mimo said about cp copying tootsvilles haunted house well i think they were either based on the same real haunted house or that tootsville copied cp because i don't think cp would copy anything that big. A LAPTOP?!?! lol im typing on my new laptopo right now whoops looks like i got this for anything! OH EM GEE sorry for caps but OH EM GEE! I know what game it is (maybe if not i'm so sorry) Jack told me it was a game to do with a robot! MIMO! I NEED YOUR HELP! Today I logged onto Club Penguin and all my items were gone!! Every single item i had is all gone!! :-( whats wrong? has this happened to anyone else or is it just me? hey mimo, on cp they took off the nub in the cove! waaaa that was my best hiding spot! 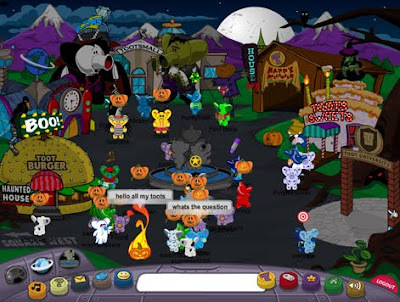 Mimo there is a Glitch on Cp.Its from last yrs halloween party! Go to the ice burg and look in the sk. You will see the glowwing thing that was were the toffe was last year! Awesome!!!! I'm not sure about the tootsville, we'll just have to wait and see! way cool cant wait for the tootsville party! Oh and by the way Tootsville did have their haunted house up before CP and if you look at a video on you tube from last year tootsville did that house a year ago! just sayin! I think emailing CP is the best option. Hope you get your items back! Yep your character in tootsville is an elephant. 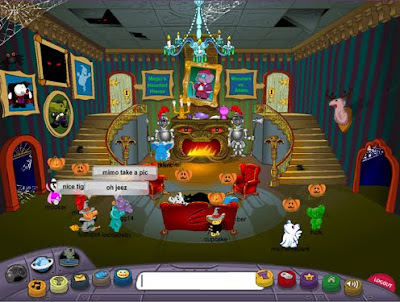 You can go there, play games, earn peanuts, and buy clothes if your a member, and collect pivitz if your not. Ummm, i would have to say any color neon. Even though it is out of style i still like them! Dang I can't really mod because there are no questions. If I ask questions just to get the flow going again does that give me points for being a CPG mod? If so then... If its zero degrees today and it is supposed to be twice as cold tomorrow how cold will it be? Yup Mimo already posted about that, but if he didn't yet, he would probably give you credit, but he already did so sorry. My fav colour is purple (and I'm a girl!) I am purple crazy! !My whole bedroom is purple. Ppl say that all girl's like pink well it's my worst colour lol! !